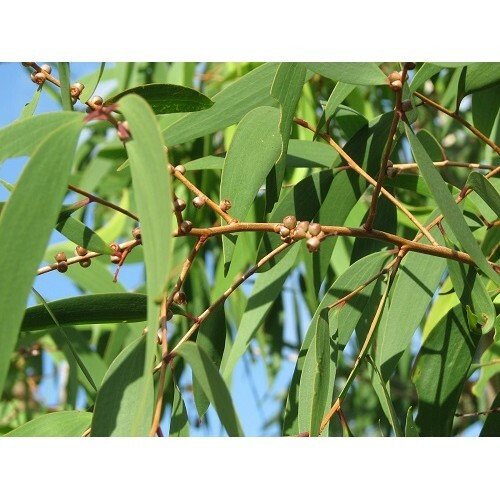 Eucalyptus essential oil is a colorless or pale-yellow oil with sweet and strong woody smell. It is derived from the dried leaves and branches of the plant, Eucalyptus. They are native to Australia and have also spread across the continents, especially in the subtropical and Mediterranean regions. 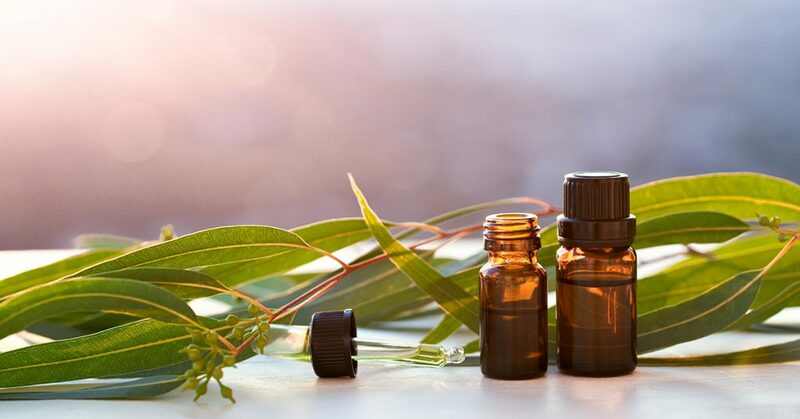 There are about four types of eucalyptus essential oil: we have the polybractea “Blue Mallee”, the globulus “Blue Gum”, the radiata “Narrow-leaved peppermint”, and the citriodora “Lemon-scented gum”. The major components of the oil are cineole which constitute about 50-95% of the oil. Eucalyptus essential has anti-bacterial, anti-fungal, anti-inflammatory and anti-septic properties. Their uses include, wound healing, pain relieve especially muscle and joint pain, relief for fever. They are also uses to treat cold and flu, tuberculosis, insect repellents or for insect bite, aromatherapy and many other uses. It is well documented that for centuries eucalyptus was used as effective antiseptic for the treatment of wounds by the Australian Aborigines. Eucalyptus oil contain antiseptic and anti-microbial properties which protects wounds, burns, cutes or abrasions from infections. 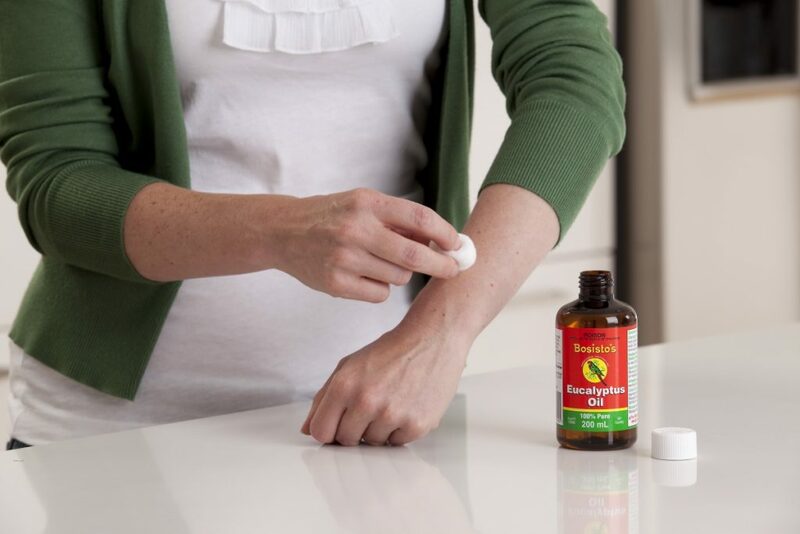 It speed up the process of wound healing and reduce pain when apply as ointment on wounds, burns, or insect bites. Eucalyptus oil is uses to relieve cough, cold, flu and sinusitis especially in their earlier stage. Eucalyptus oil is best applied as steam inhalation to clear mucus congestion in the respiratory tract. Peppermint oil in a bowl that contains steamed water, lower and cover your head with towel about 10 inches above the bowl, remain in this position for about 6-10 minutes. The steamed oily vapor penetrates through your nostrils and your skin to clear your respiratory tract off congestion and give you instant relieve. You can also inhale eucalyptus oil directly from the bottle, or dilute about 5 drops with equal drops of peppermint oil with 3 drops of your favorite oil carrier like coconut or jojoba oil, rub carefully on your chest, temple or nose to relieve your cough, cold, flu sinus condition. Eucalyptus oil is uses for such pain as back ache, joint or muscle pain. They are popular ingredients in several ointments use as balm for pain. Eucalyptus oil contains an anti-inflammatory properties Eucalyptol and Camphor, which reliefs swelling and inflammation. To relieve your back ache, joint or muscle pain, massage some mixture of eucalyptus oil with your favorite essential oil carrier in the area of the pain. The cool and warming feelings on the skin make the oil absorbed fast in to the skin and quickly relieves pain in the muscles and joints. Eucalyptus essential oil is use to relief your feverish conditions, dilute 3 drops of eucalyptus oil with 3 drops of peppermint oil and add 5 drops of coconut oil or any other essential oil carrier. Apply this mixture to your temple, feet, and your neck. Do this every 30 minutes until your feverish condition improve. You can also take a warm bath with mixture of about 15-20 drops of eucalyptus oil and add same quantity of pepper oil. Eucalyptus and peppermint oil regulates your temperature and induced sweating which brings instant relief of your fever. Eucalyptus essential oil is widely used as an active ingredient in toothpaste and mouth wash products. They are very effective against cavities, gingivitis, dental plague and it improves the overall oral health. Eucalyptus oil is said to be antibacterial, anti-inflammatory, antiseptic and a decongestant. In a (2008) study published in the Journal of Periodontology, reported that the use of eucalyptus extract chewing gum may promote periodontal health. They inhibit antibacterial activities against cariogenic and periodontopathic bacteria. To use eucalyptus oil effectively for your mouth care, dilute 1-2 drops of the oil with 2-3 drops of coconut oil, and then gurgle or swish the content in your mouth for about two minutes before your regular brushing. You can also dap a cotton bud in the mixture and apply it to the affected area of your mouth. However, for serious and complicated problems, always consult your dentist. Eucalyptus oil is capable of treating and reducing the symptoms of tuberculosis. In a research published in the Journal of Natural Products, it examines how Eucalyptus citriodora essential oil fared against the inhaling drug-resistant TB (MADR/XDR-TB). The study discovered a staggering 32 active anti-TB compounds Eucalyptus citriodora, after examining how the components interacts with each other, they conclude that certain combination could inhibit airborne TB by over 90%. To relieve the signs and symptoms of your tuberculosis, mix 2-3 drops of eucalyptus oil with about 2 drops of your favorite carrier oil, rub on your chest, and at your back to effectively reduce inflammation cause by tuberculosis. Ensure you see your doctor for extreme cases. Eucalyptus essential oil is used to prevents and treat lice. To treat or prevents lice with this amazing oil, all you need to do is add several drops like 10-15 drops of the oil to your shampoo. Apply to your hair and leave for about 10-15 minutes, wash with look-warm water, and dried. Apply your condition and watch as your scalp look healthy with nourished hair. When diluted with your favorite essential oil carrier you can also massage the mixture directly on your hair 1 hour before bath. Eucalyptus oil is very good at nourishing your hair, it keeps the hair healthy by preventing and treating dandruff or lice as explained in the point above. It also enhances hair growth, shine and thickness. Follow the same step in number seven above useful for eucalyptus application for hair. Eucalyptus oil can be used to treat and control acne. In a research carried out by Andrew Chevalier, the author of the book “Herbal Medicine”, show that eucalyptus oil has some potent antiseptic and properties that is helpful in healing skin issues such as acne. It also contains antibacterial and anti-inflammation properties that helps control the outbreak of acne. Dilute eucalyptus oil with olive or coconut oil and carefully apply topically on the affected area or face, do not allow the substance to get in to the eye. Do these at least twice a day to get the required result. One of the other effective way of using eucalyptus oil is as stain remover, apply some drops of eucalyptus oil on the spot of the stain and wash carefully or brush as the case may be. You can use eucalyptus oil as a replacement for your air freshener, about 99 percent of air fresheners we use contains one toxic substance and another. The antiseptic and antibacterial nature of eucalyptus oil make it an ideal alternative as replacement to harmful air freshener in your home, offices, schools and hospitals. Eucalyptus oil helps increase blood flow and control blood sugar levels in diabetic patients. What you should do for maximum benefits, you can blend some drops of eucalyptus and cinnamon essential oil, with carrier oil like coconut, massage the blend on the skin or inhale eucalyptus and cinnamon blend. These combination enhanced your blood circulation and benefits diabetic patient immensely. Eucalyptus oil formed one of the favorite essential oil use as aromatherapy, especially to calm the nerves, relax the body and as pain relief. They are best use as mixture with bath water, diffuse, or by steam inhalation. When use as aromatherapy eucalyptus oil offers a wholesome benefit for your health. Eucalyptus oil is very active in repelling mosquitoes. It is really encouraged to practice the habit of using essential oil as insect control instead of using chemically formulated insecticides with could be very harmful to our health and our environment. Eucalyptus oil is capable of keeping mosquitoes away for several hours and offering some huge benefits for your health in the process. Diffuse the oil in your room or home before bed time or mix some drops with water and sprinkled at the corners of your home to keep insects especially mosquitoes away. Eucalyptus essential are also uses as soaps, detergents for laundry, mopping, and generals use in our homes and hospitals as cleaning agent. Since they are naturally made without the fear of chemicalize, they offer good benefits for our health. Add some drops to your laundry water, cleaning or mopping water and dish washing water in the kitchen. Always dilute eucalyptus oil before topically use, and better to do a patch test before using the oil on the skin. Consult your doctor before using eucalyptus oil on your children and as pregnant or nursing mother.